Over the weekend, the Virginia city of Charlottesville succumbed to chaos as a rally led by white supremacists turned ugly. It began months ago when the city council voted to rename two parks formerly named after confederate generals. They also voted to remove a bronze statue of Robert E. Lee, the highest ranking general of the confederate army and one of the key figures in the civil war. Demonstrations began in May, and even then arrests were made as counter-protesters arrived and things got heated, leading to numerous injuries. In July, a group of KKK demonstrators were overwhelmed by more counter-protesters from Black Lives Matter and other groups. At the time, it was hailed as a victory, even though 22 people ended up in the back of police cars. Last weekend things escalated as what's been described as "the largest gathering of its kind in decades" descended on the city. 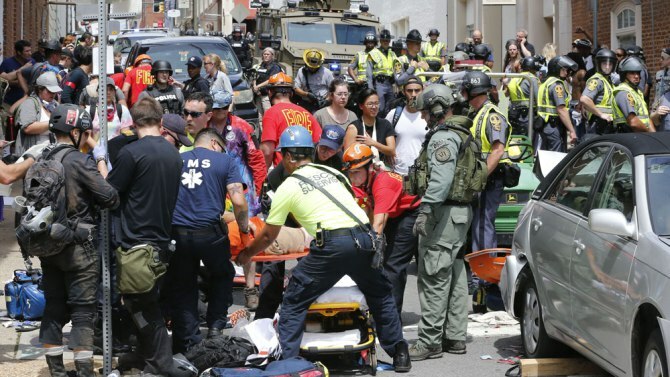 Violence erupted, pepper spray was thrown, white supremacists and counter-protesters clashed while the police desperately tried to run them out of the park. A group of counter-protesters was rammed by a car, and a 32-year-old women later died from the injuries sustained in the impact. Defenders of those at the rally have characterised the campaign as a form of mass doxing, but once again, it's not doxing if the people being identified appeared in public. Companies are also perfectly allowed to terminate staff based on their political views if they run counter to their own ethos. White supremacist groups are a lot more upfront than they used to be. Initiatives like this may discourage further demonstrations, and reduce the risk of more violence.